The entire team looks forward to welcoming you to our hotel with its renovated rooms and city-center location. Enjoy our bar and restaurant for a moment of relaxation. The Hotel ibis Saint Omer Centre is located in the town center, just a few miles from Calais, Boulogne and Dunkirk. Visit the fortified historic town, cathedral, public garden and Sandelin Museum. Other nearby sights include La Coupole museum, the Audomar ois marshes, the Arques glass works and the gin distillery in Houlle. The hotel has 65 rooms with free WIFI, a restaurant, bar, web corner and paying car park. 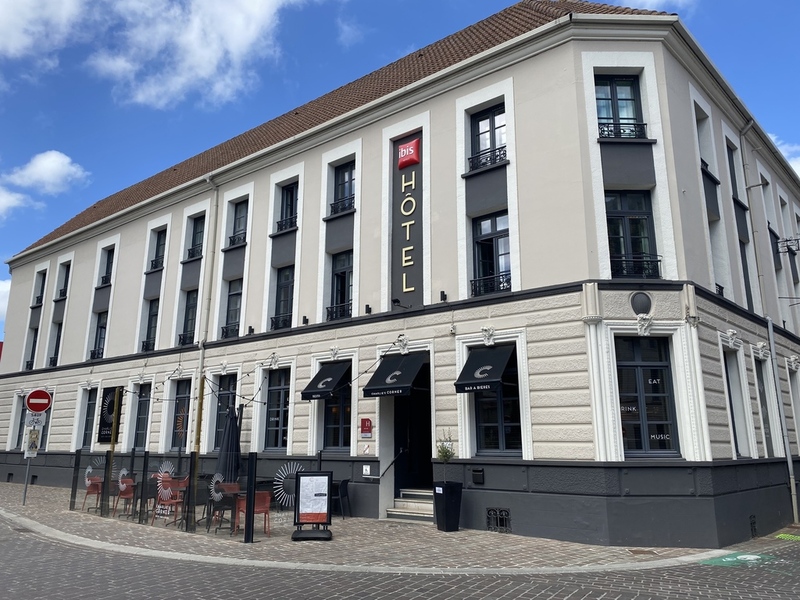 Hotel is located in Saint-Omer town center, between the town hall and the cathedral. A town of art and history. Discover the fortified town, Notre-Dame cathedral, museums, the public gardens, the town walls and 8600 acres of marshland. The pleasure of good food à la carte.Meal time throughout your stay means the chance to discover the culinary stops of our Ibis restaurants, ready to receive you 7 days a week, 365 days a year, every night open at least 7:00 p.m. to 10:30 p.m.